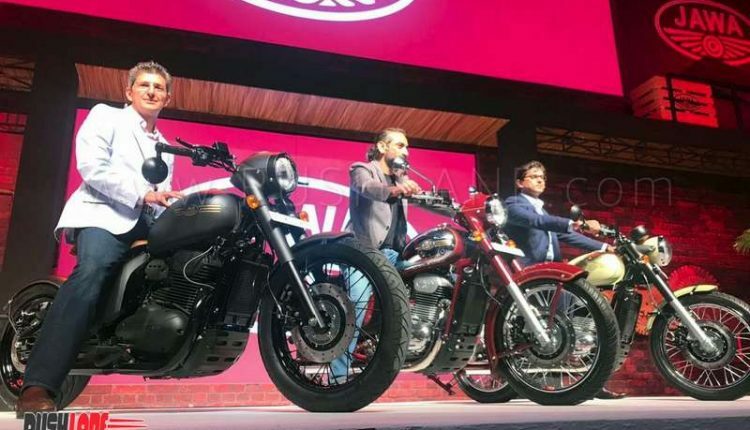 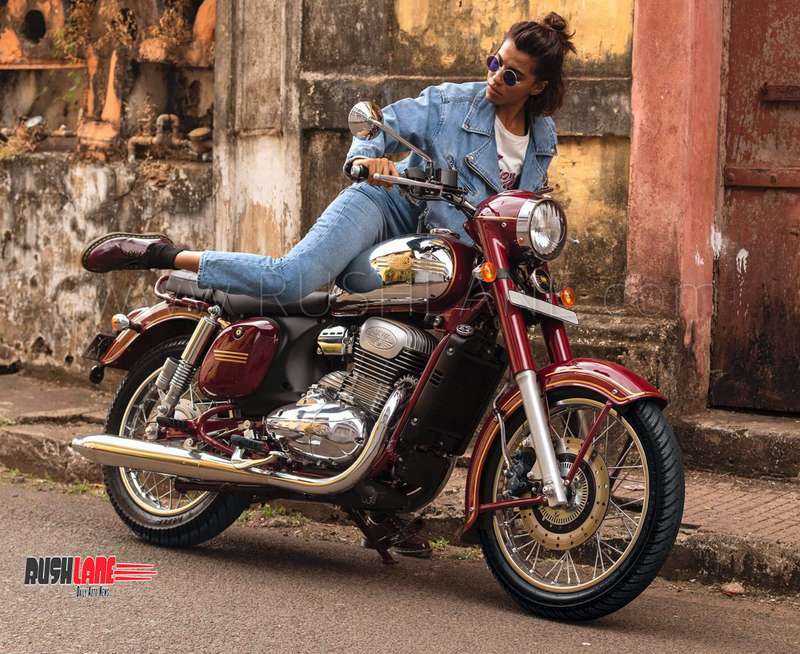 Mahindra's Classic Legends officially launched the new generation Jawa Motorcycle today in India. 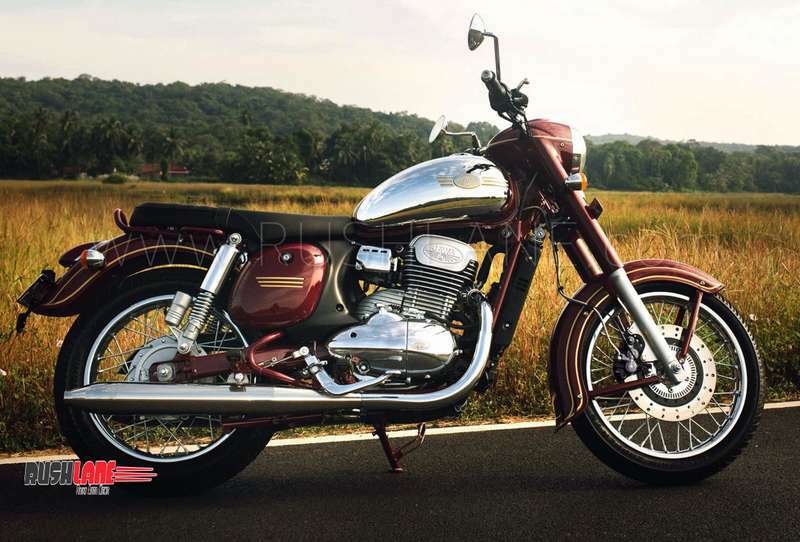 Iconic motorcycle brand Jawa has launched its popular motorcycles back in the Indian market, in a new gen avatar. 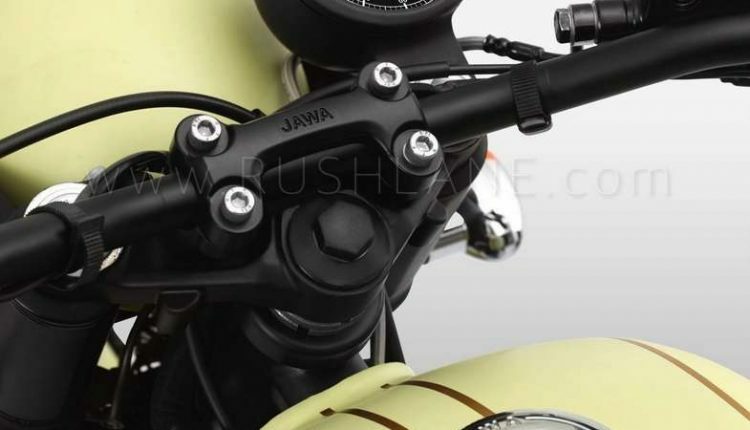 This effectively ends several days of speculation about the new Jawa motorcycle. 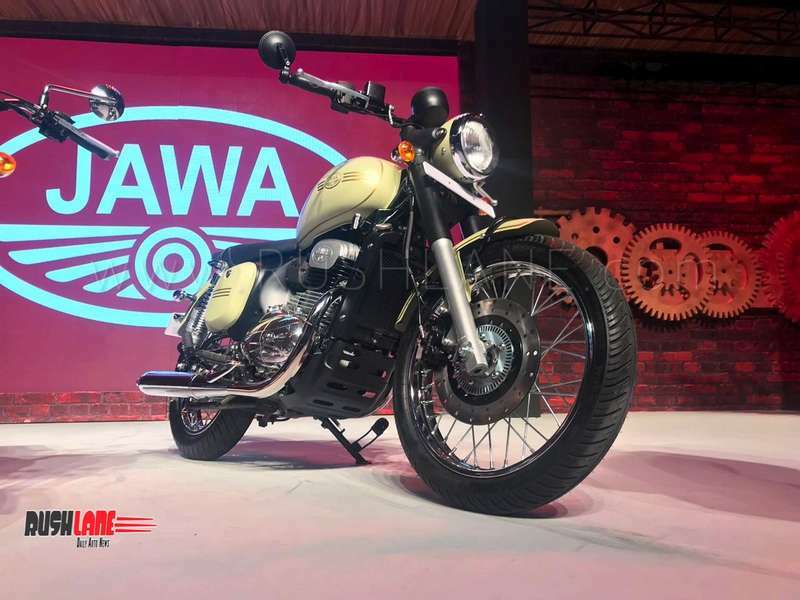 Jawa fans had always wanted their favourite motorcycle to be back and now their wishes have been fulfilled with the debut of not one, but three Jawa motorcycles, two motorcycles are powered by the same 293 cc single cylinder engine which is BS6 ready. 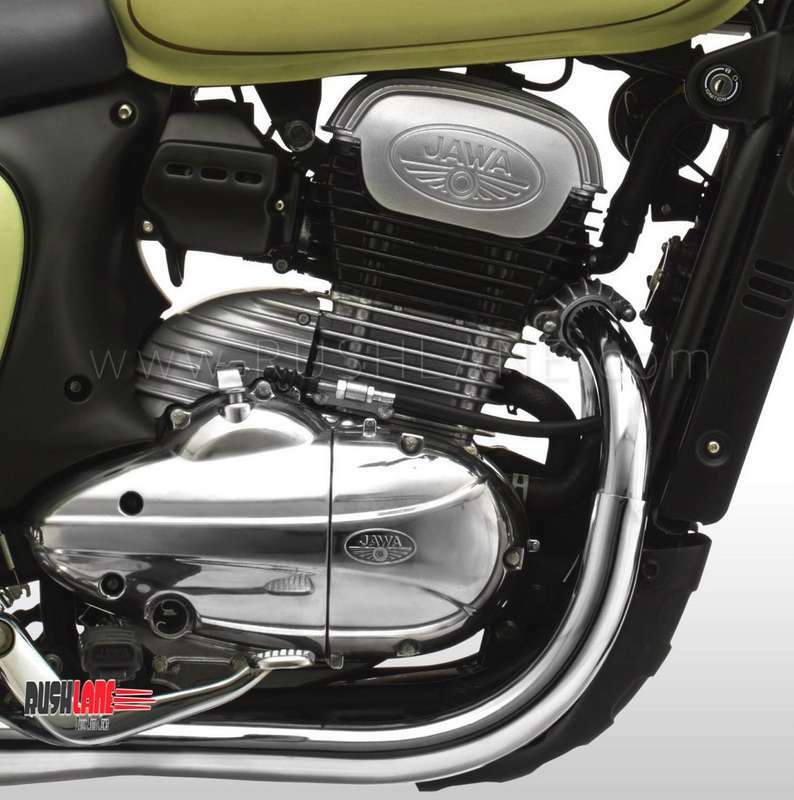 The Perak is powered by a larger 334 cc single cylinder engine. 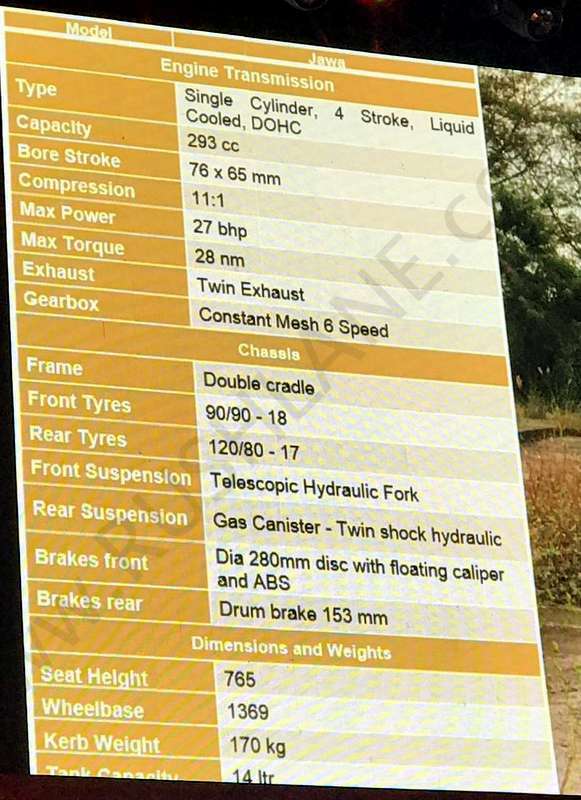 It delivers 30 hp and 31 Nm. 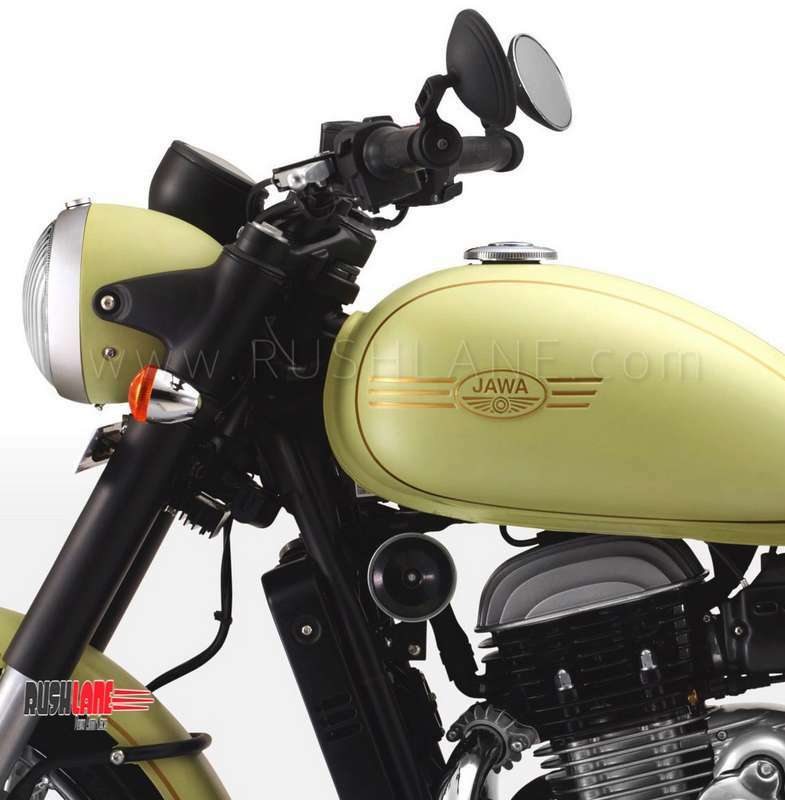 Jawa’s re-entry into the Indian market may also grab the attention of fence sitters in the Royal Enfield camp. 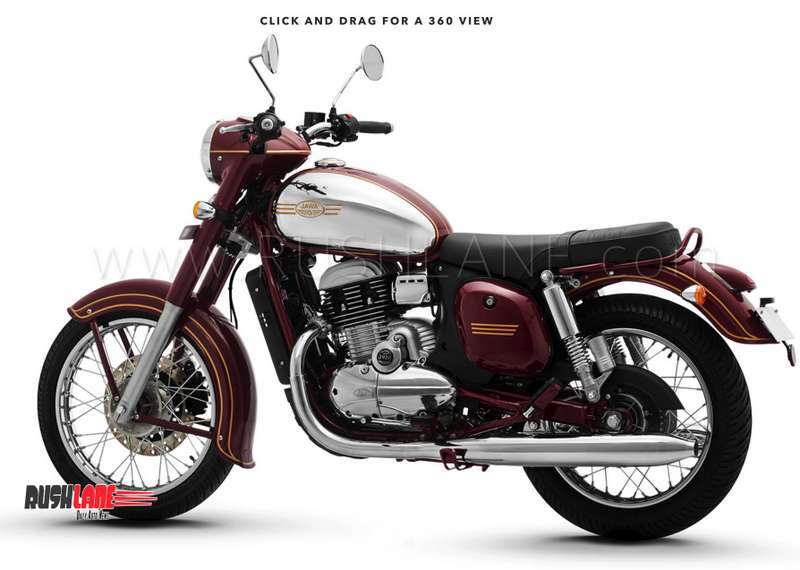 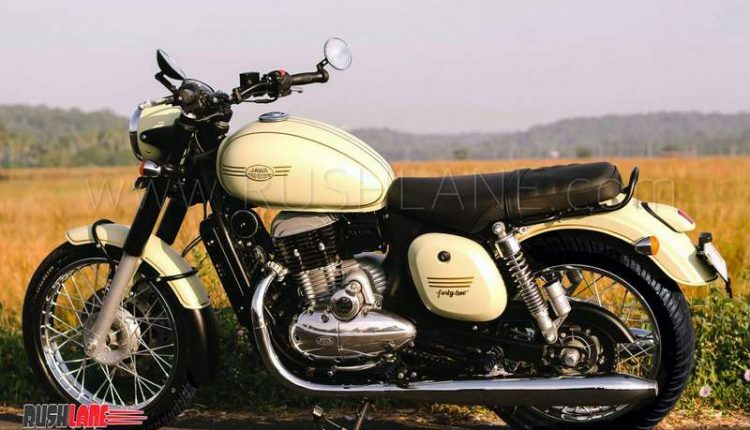 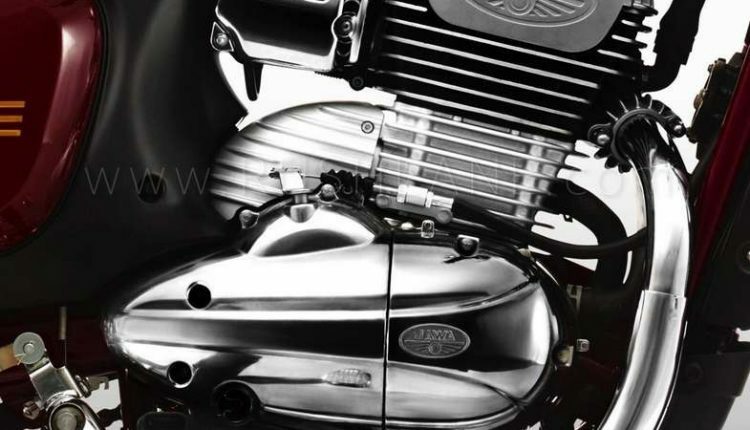 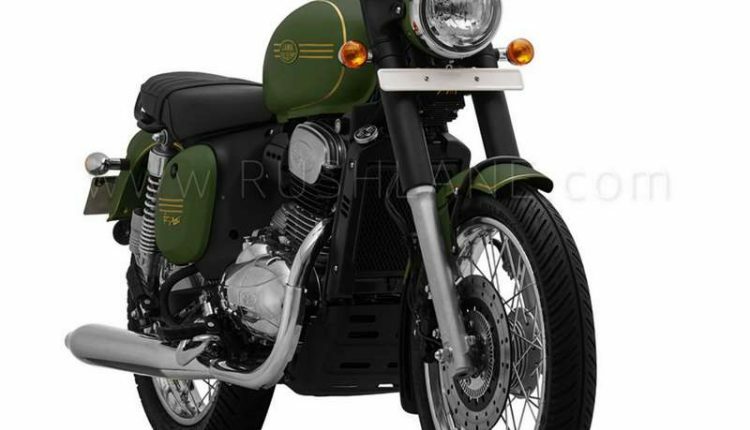 Jawa motorcycles will compete directly with Royal Enfield Classic 350. 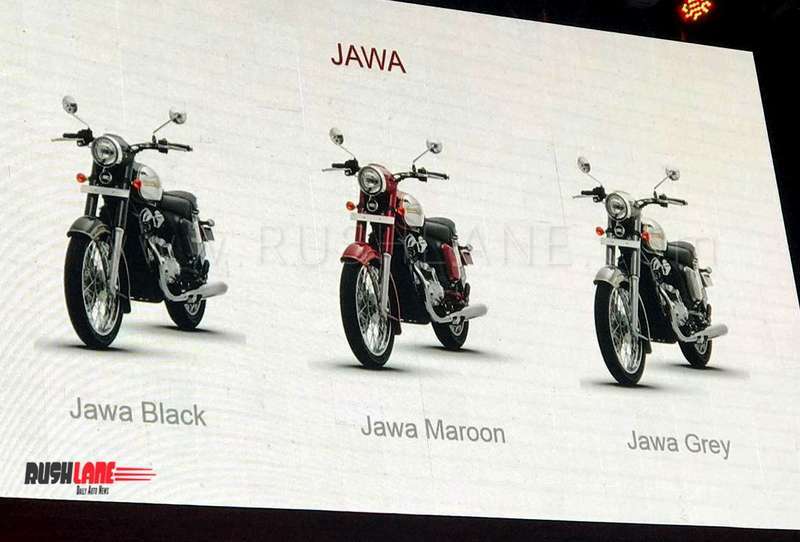 The classic variant is called Jawa (in red), then there is Jawa 42 (in white), and the bobber custom is called Jawa Perak. 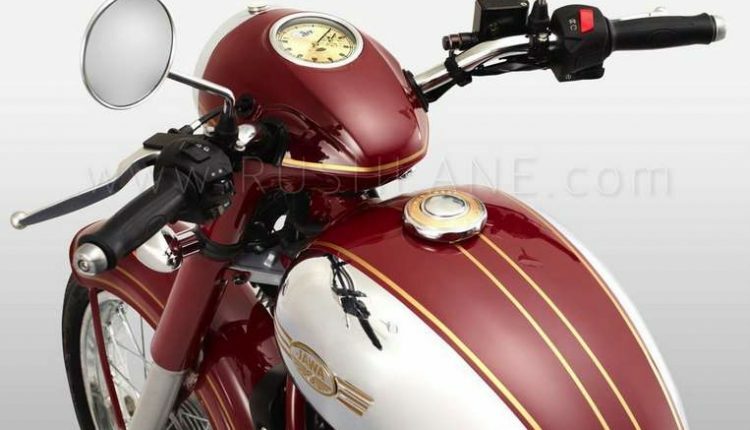 The first two are launched today, the custom bobber will be launched in early 2019. 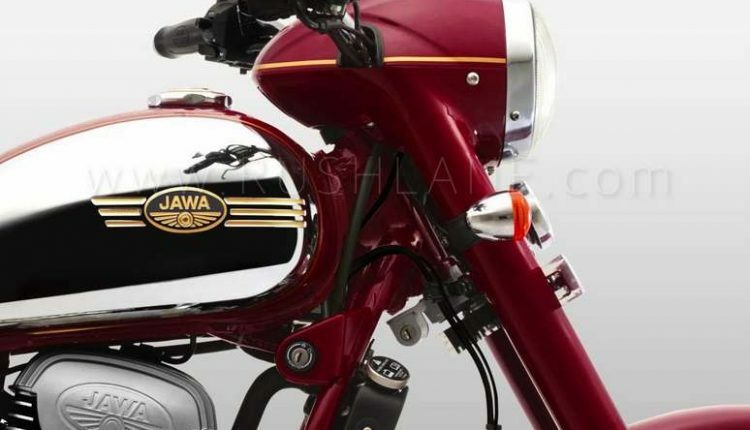 For the uninitiated, Jawa was once a hugely popular motorcycle brand in India and globally as well. 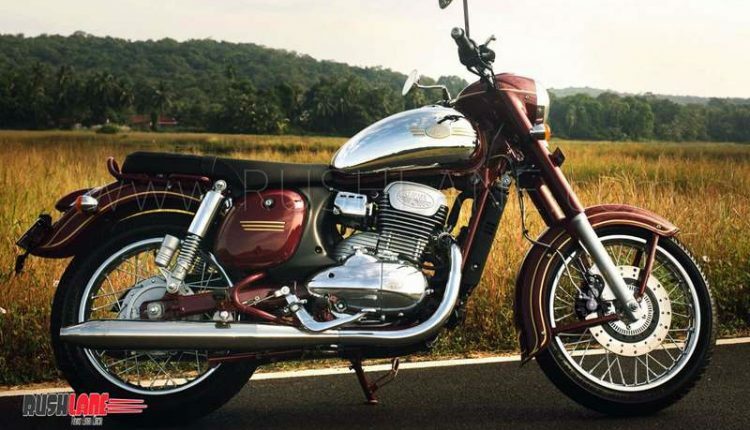 However, it had to stop operations in India in 1996. 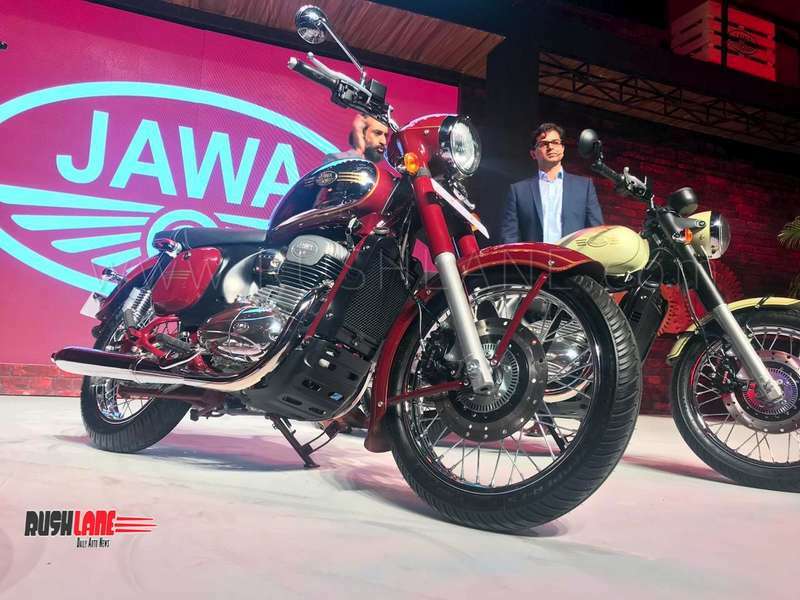 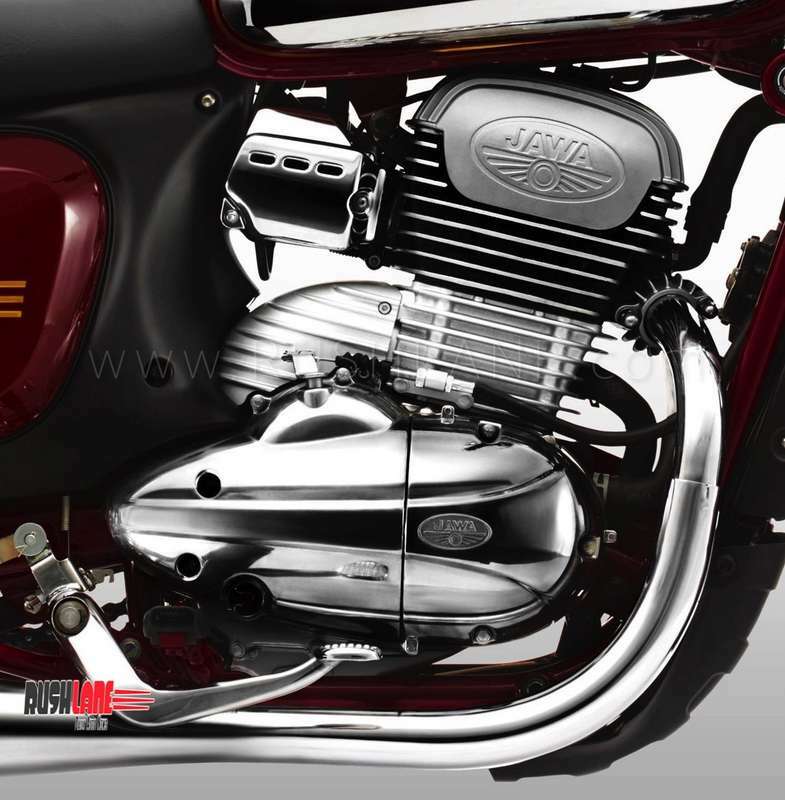 Jawa has now re-entered the Indian market by partnering with Mahindra and Mahindra (M&M). 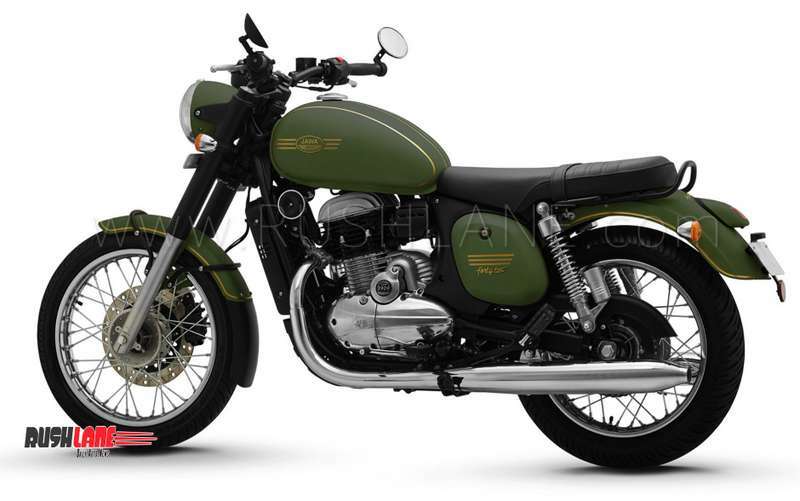 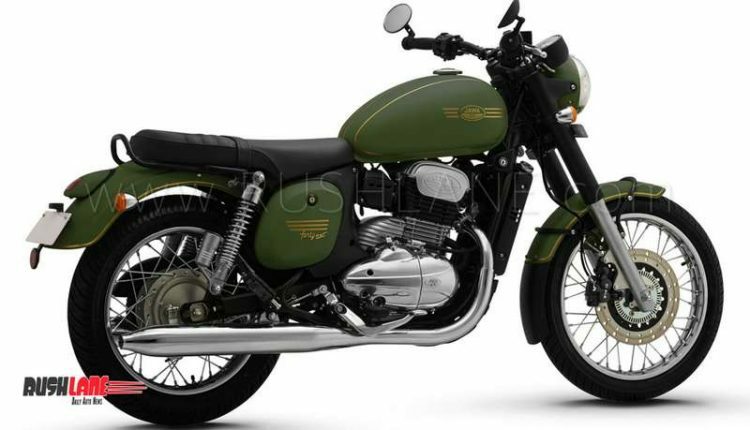 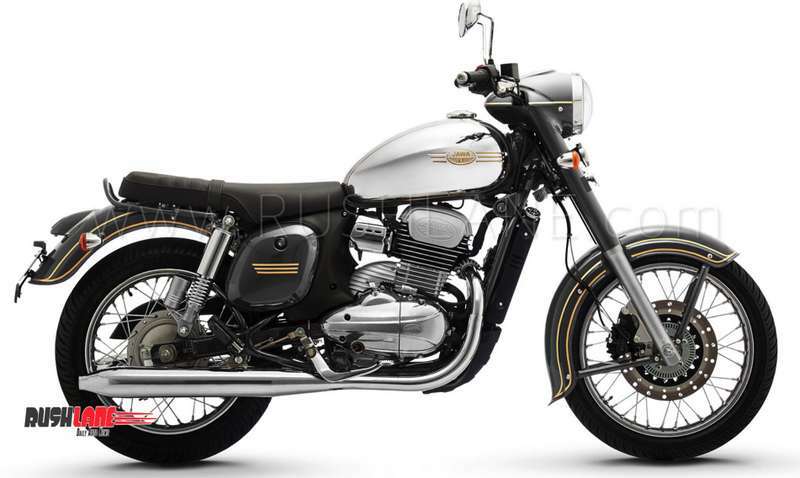 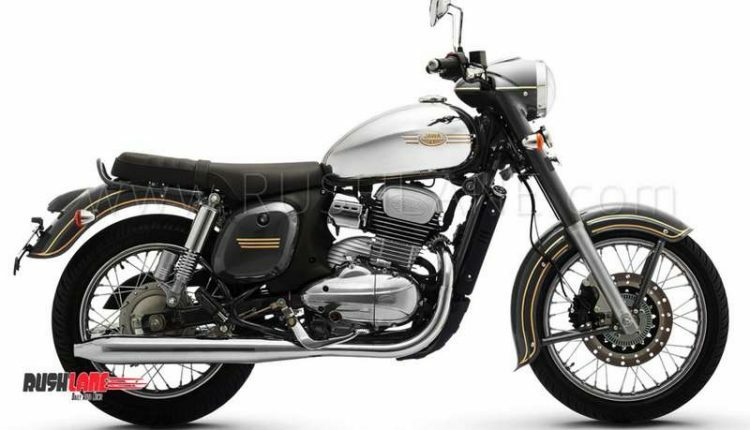 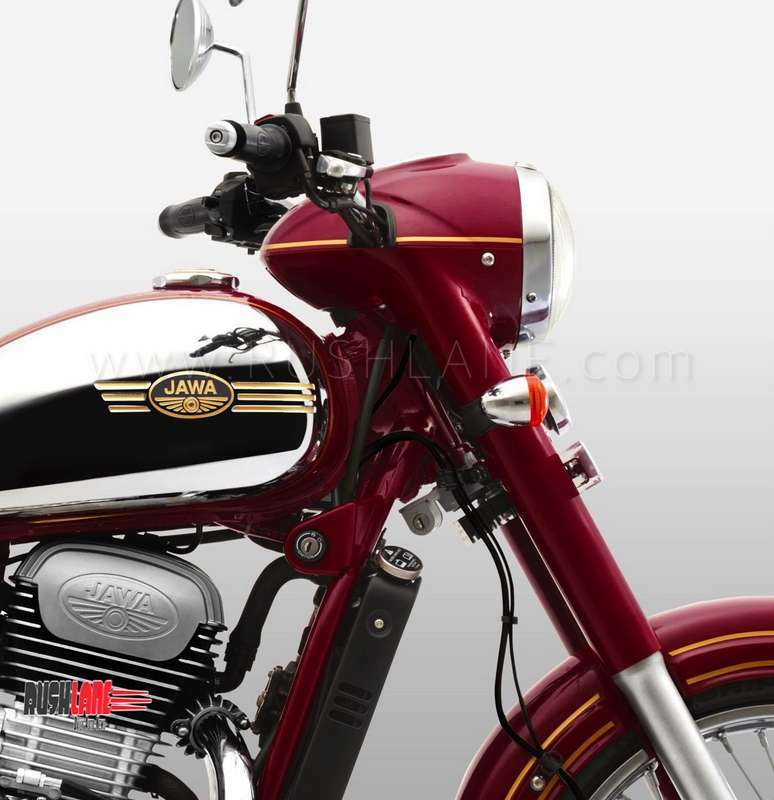 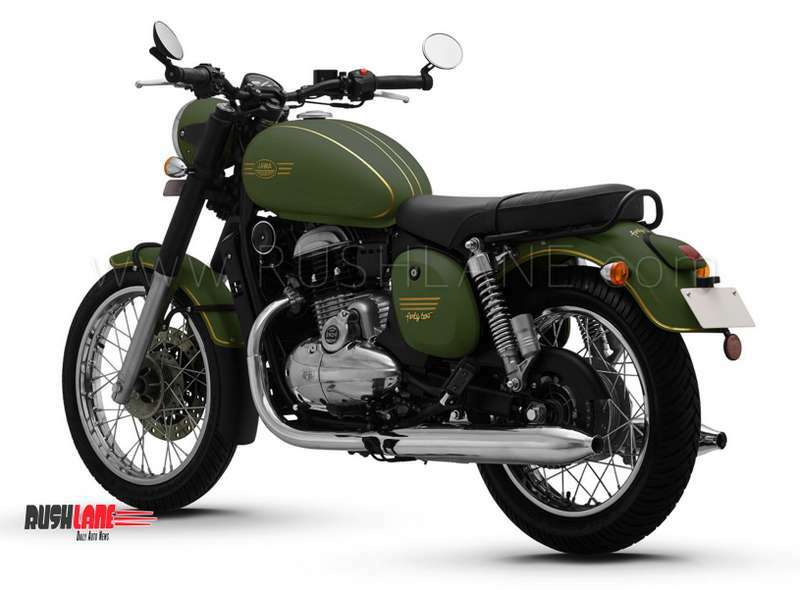 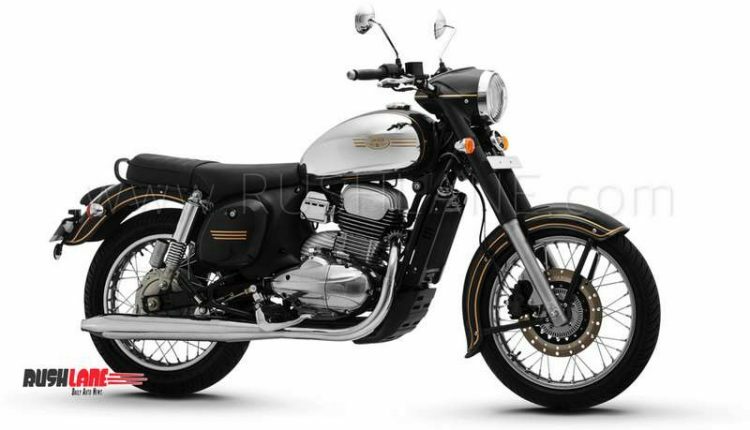 Coming to the motorcycle, Jawa Motorcycles launched today sports a completely retro design, reminiscent of the 70s era. 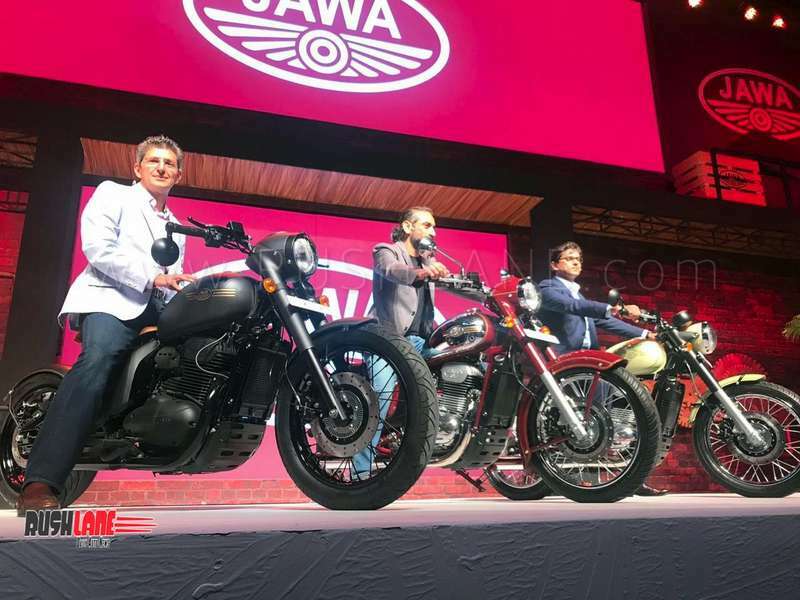 The first models to go on sale will be the Jawa and Jawa 42. 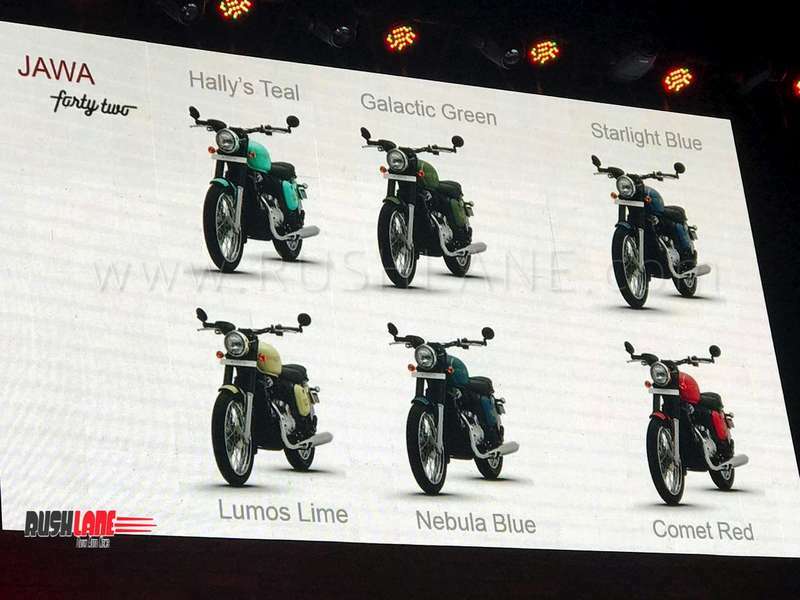 These are a retro motorcycles, based on the same platform, powered by the same engine, but designed to attract different set of buyers. 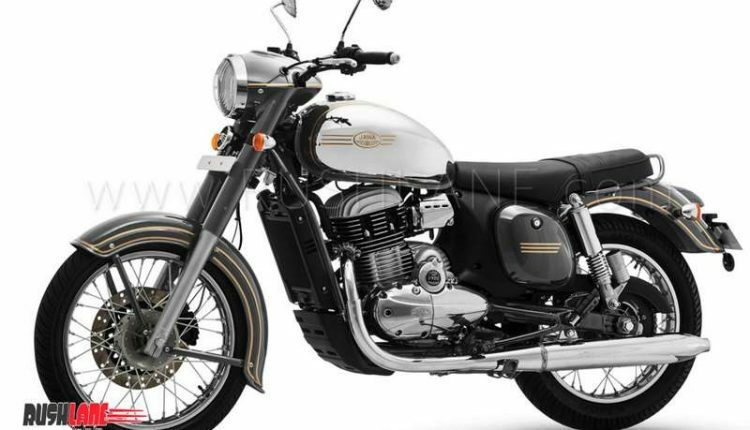 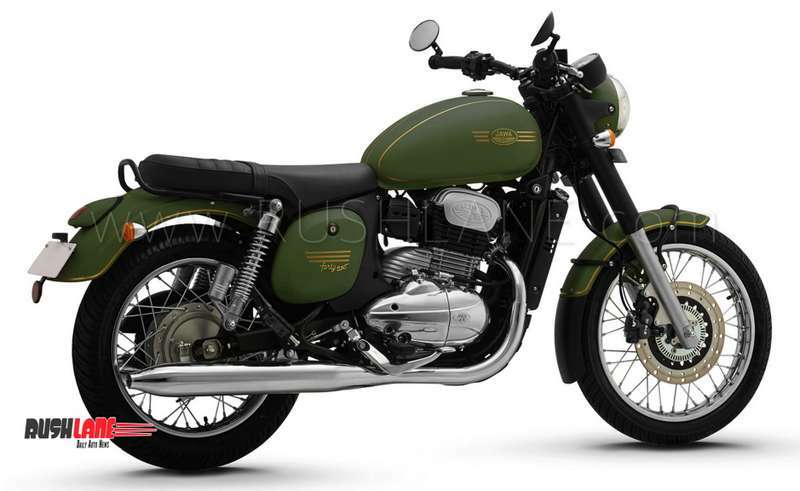 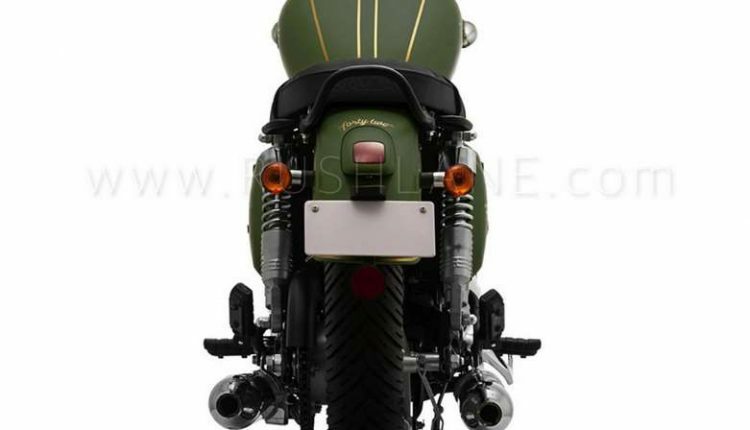 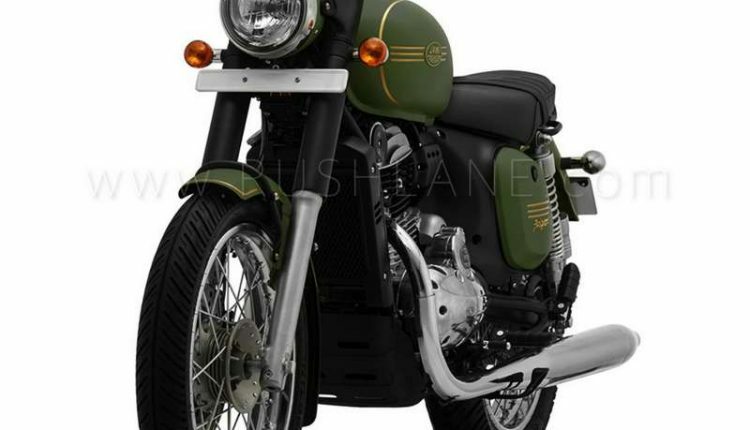 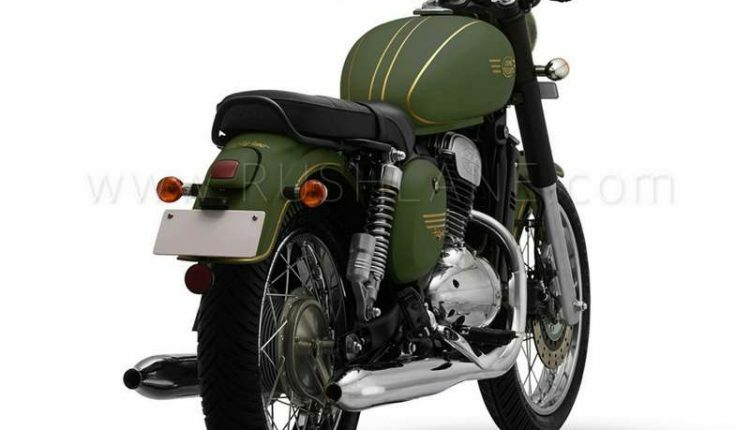 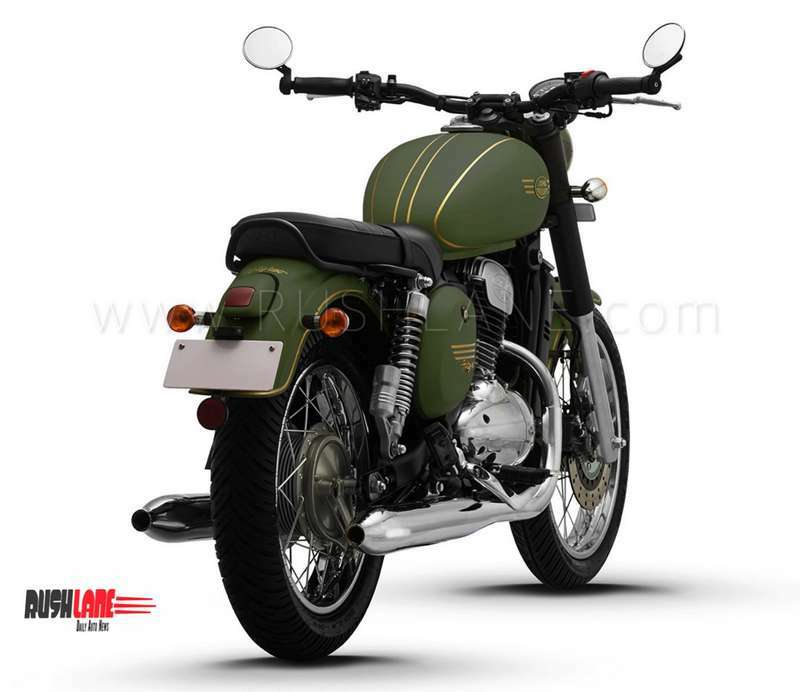 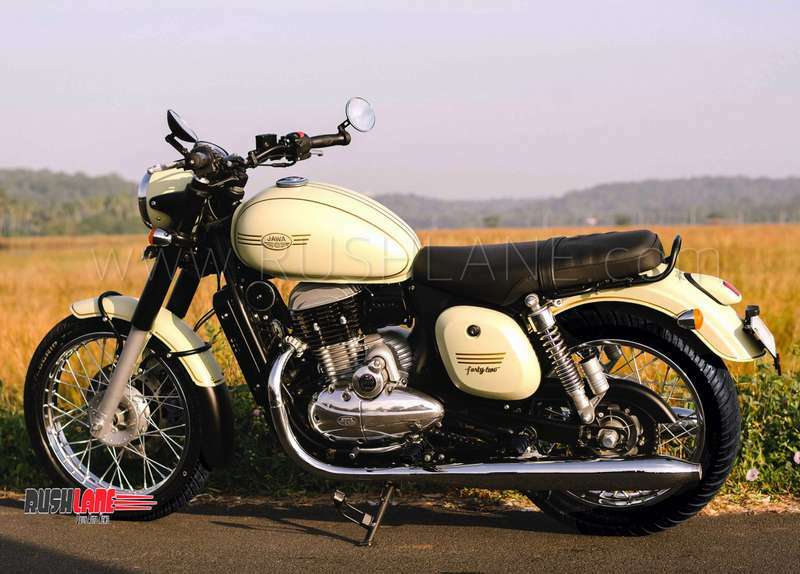 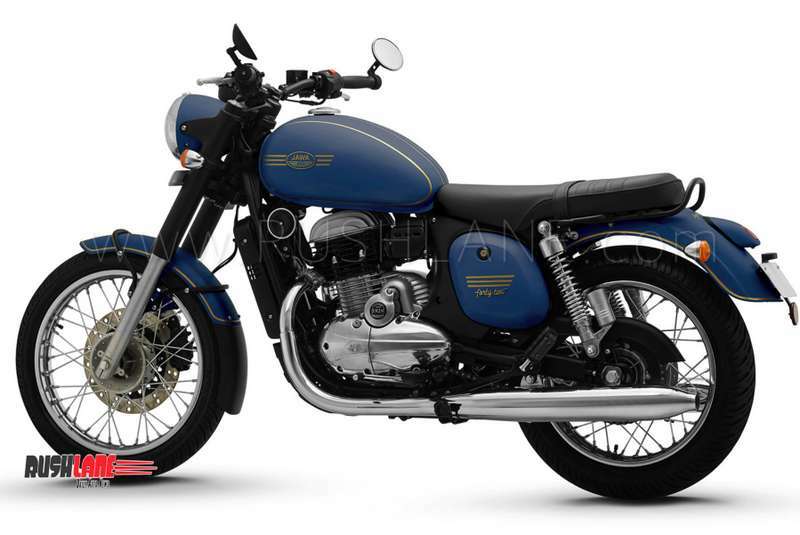 Both motorcycles will compete against the Royal Enfield Classic 350 upon successful launch in the country. 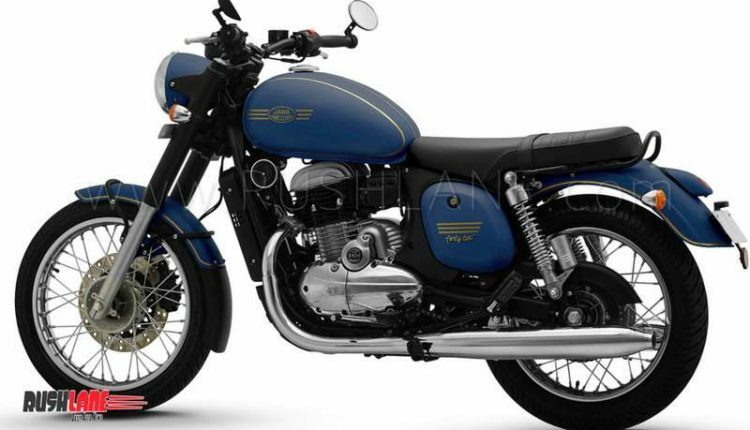 Company claims 105 dealers have already been signed up. 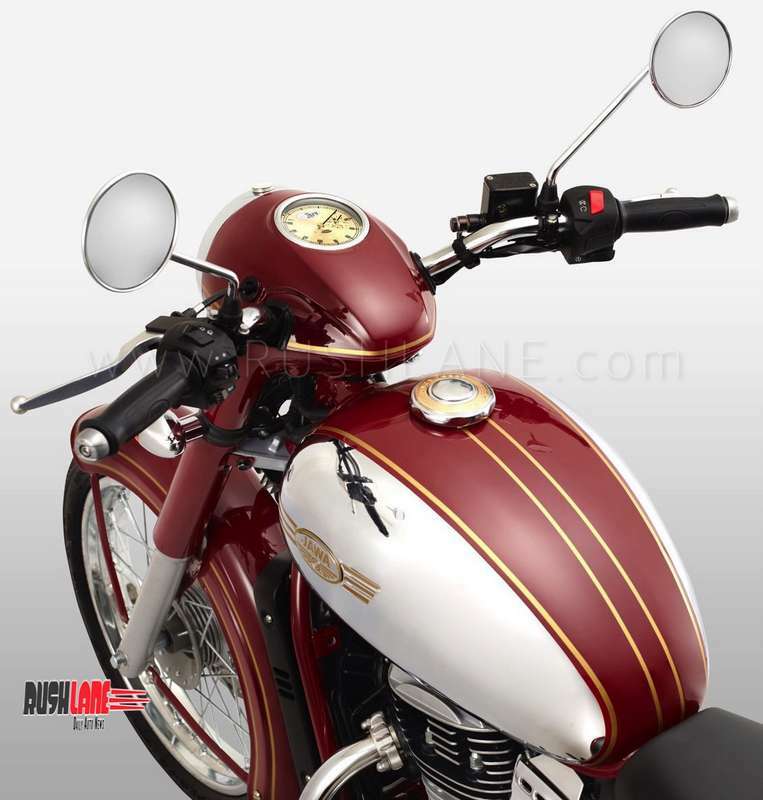 Each dealer has deposited Rs 2 crore as deposit. 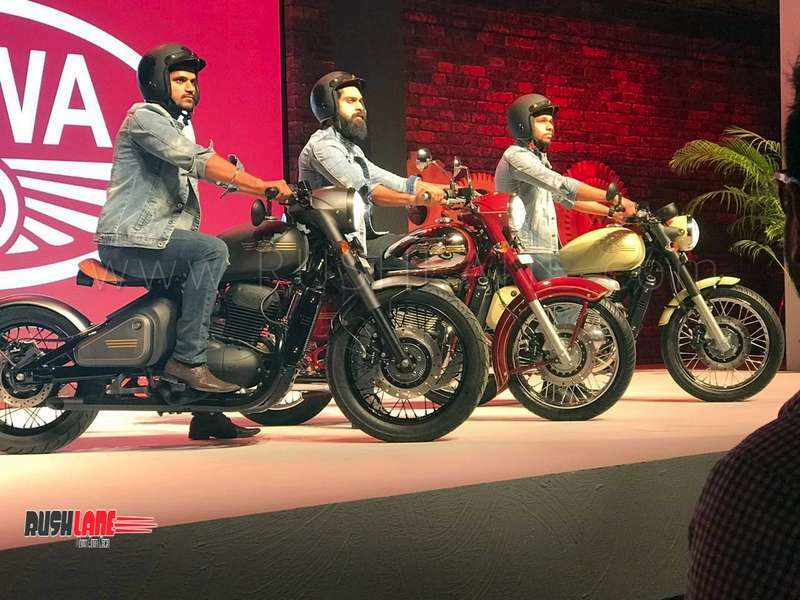 Model dealership is ready, but not yet open for customers. 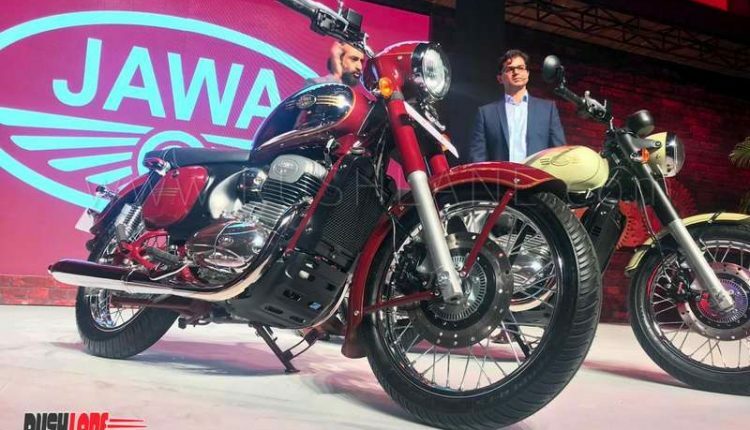 In the first phase, 64 dealerships will be opened across major cities by early next month. 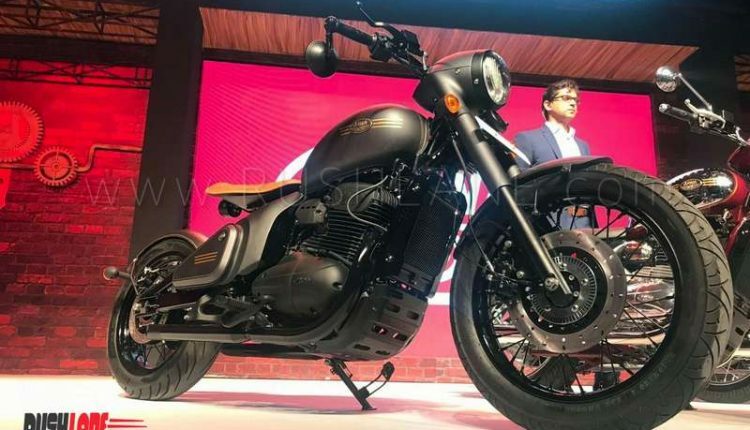 Test drive and delivery is expected to start by Feb 2019. 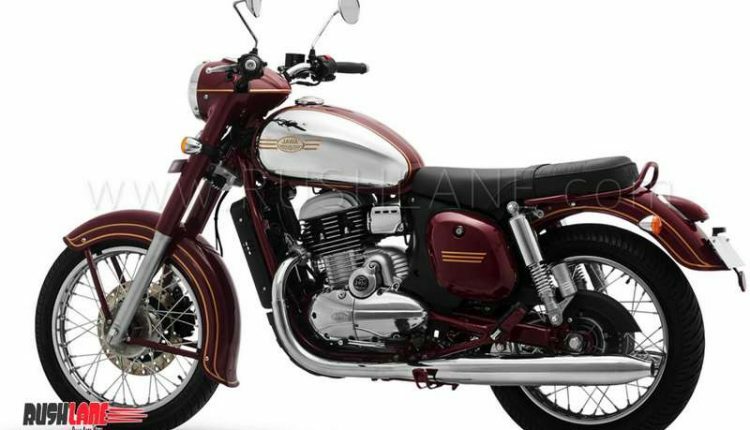 All bikes are made at Mahindra plant in Pithampur. 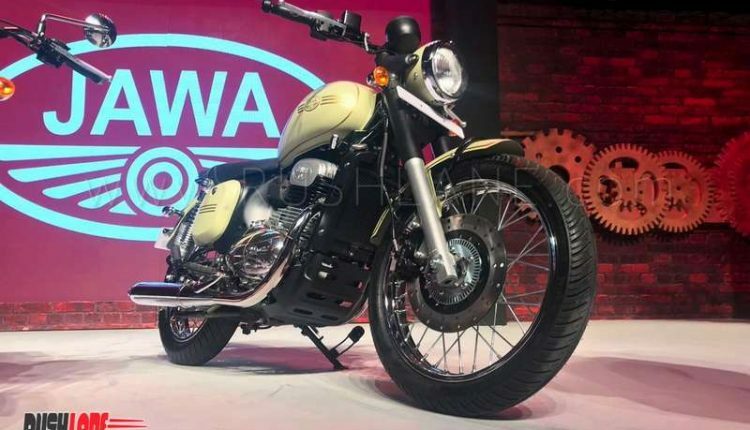 Jawa 42 is the cheapest at Rs 1.55 lakhs, Jawa is priced at Rs 1.64 lakhs while the Jawa Perak custom bobber is priced at Rs 1.89 lakhs. 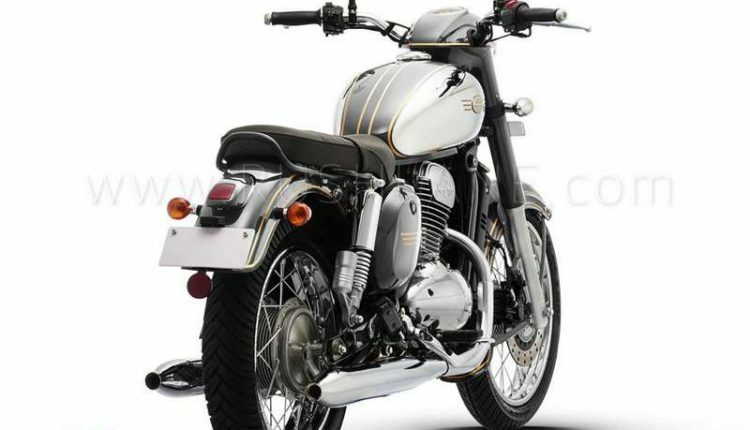 All prices are ex-Delhi. 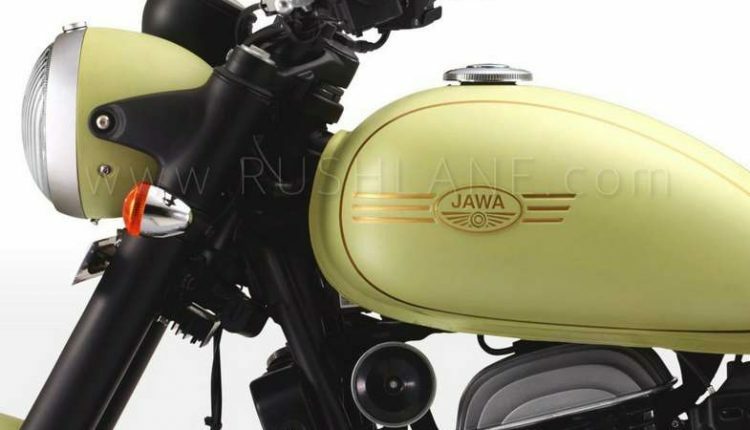 Jawa will be available in 3 colour options (Black, Maroon, Grey) while the Jawa 42 (Hally’s Teal, Galactic Green, Starlight Blue, Lumos Lime, Nebula Blue, Comet Red) will be available in 6 colour options. 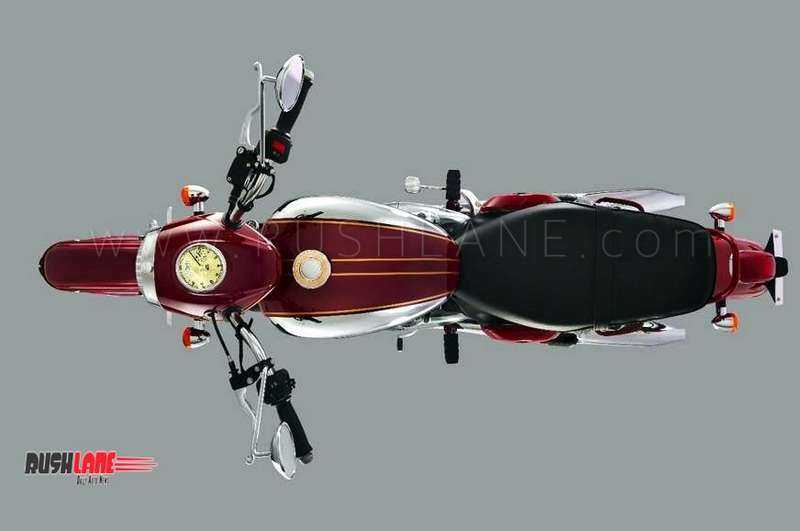 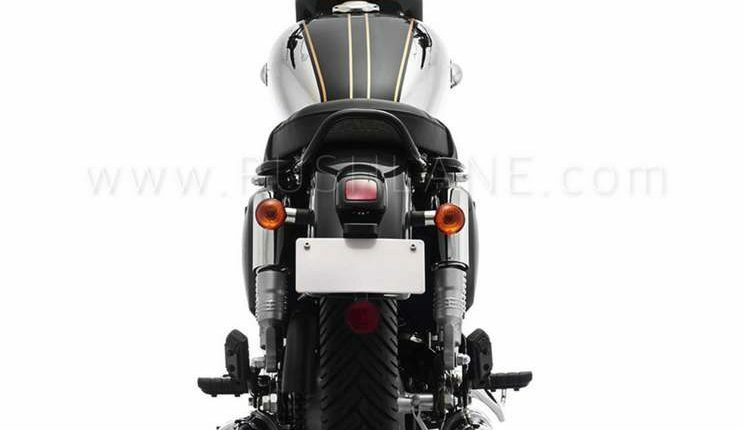 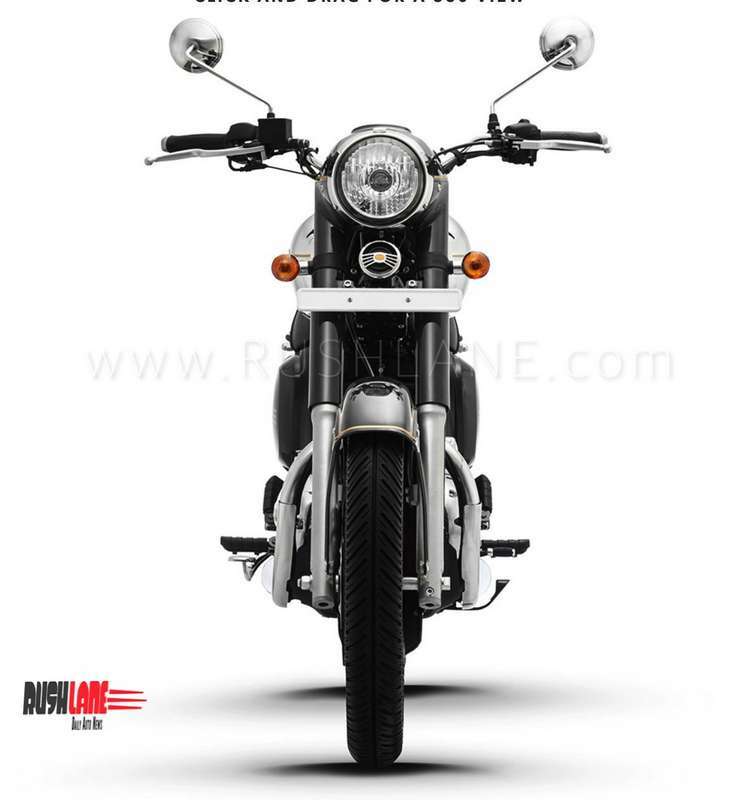 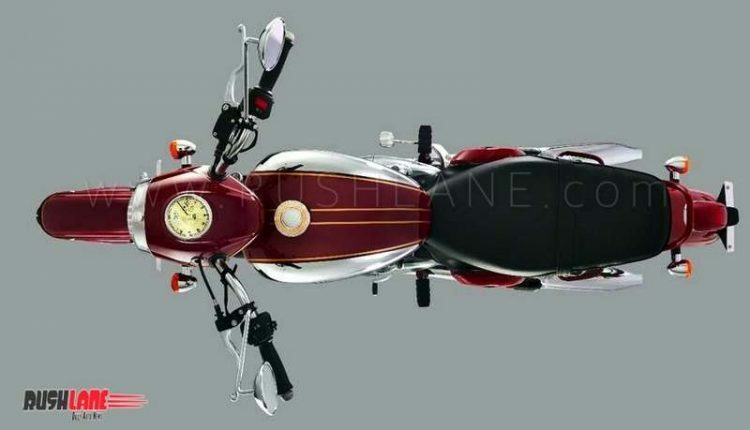 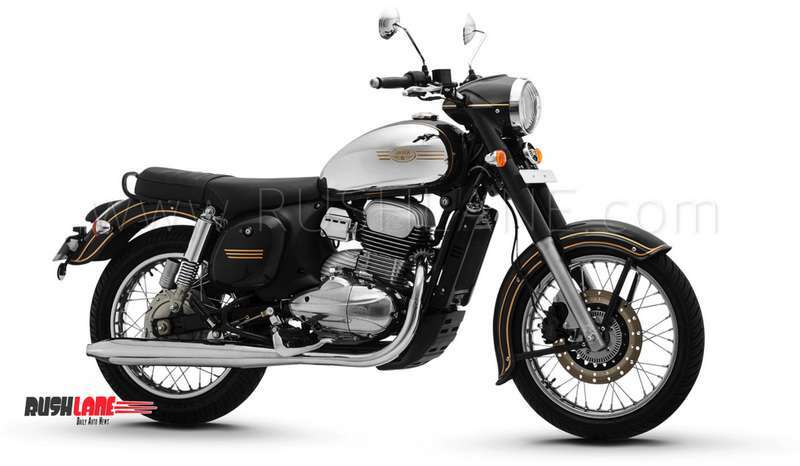 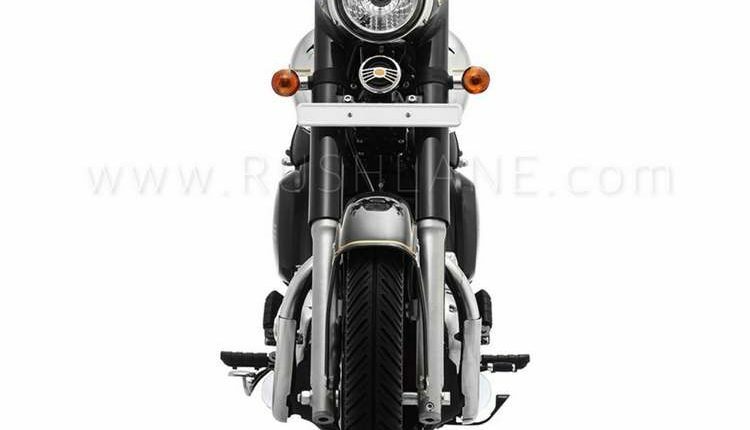 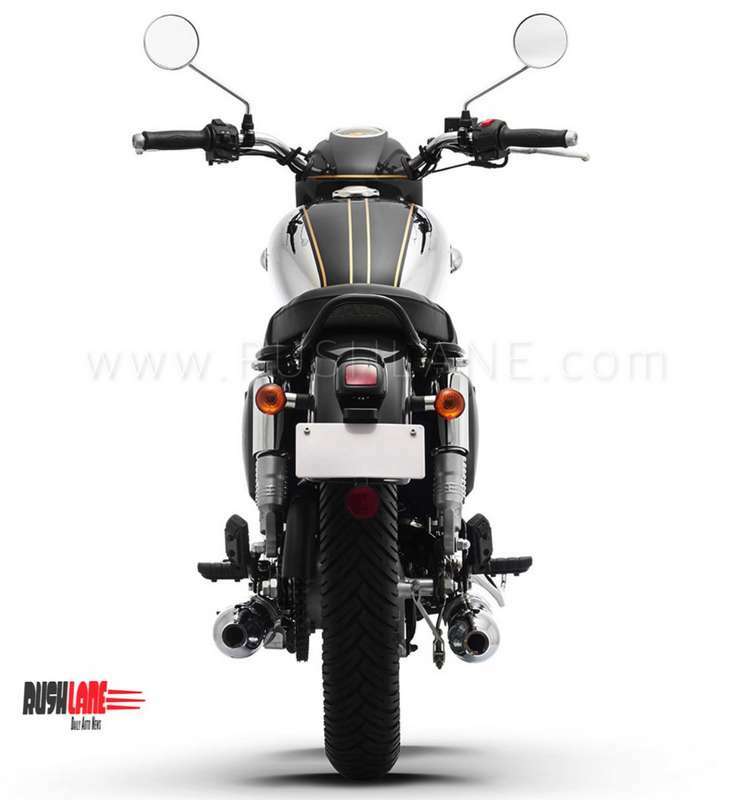 Features include rounded headlamps, dual tone chrome finish on fuel tanks, twin exhausts and a flat saddle. 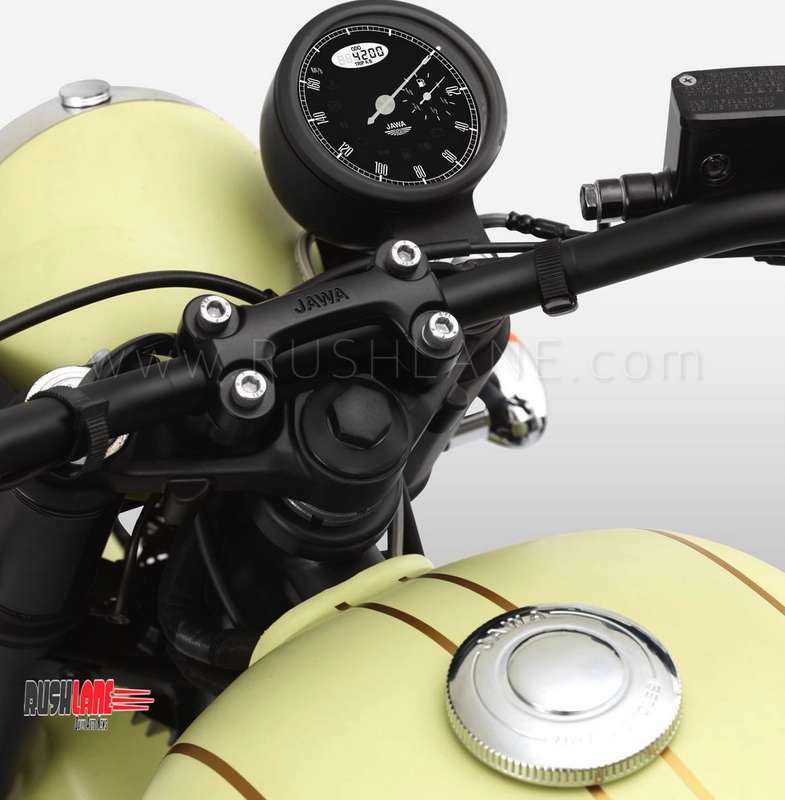 Chain cover, wire spoked wheels and a round instrument cluster could also be a part of its features. 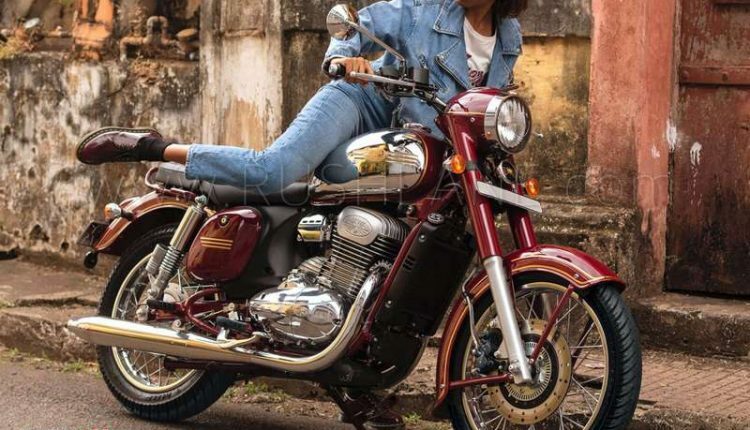 All Jawa motorcycles will be powered by a 293cc single cylinder, fuel injected, liquid cooled engine that offers 27 hp power and 28 Nm torque. 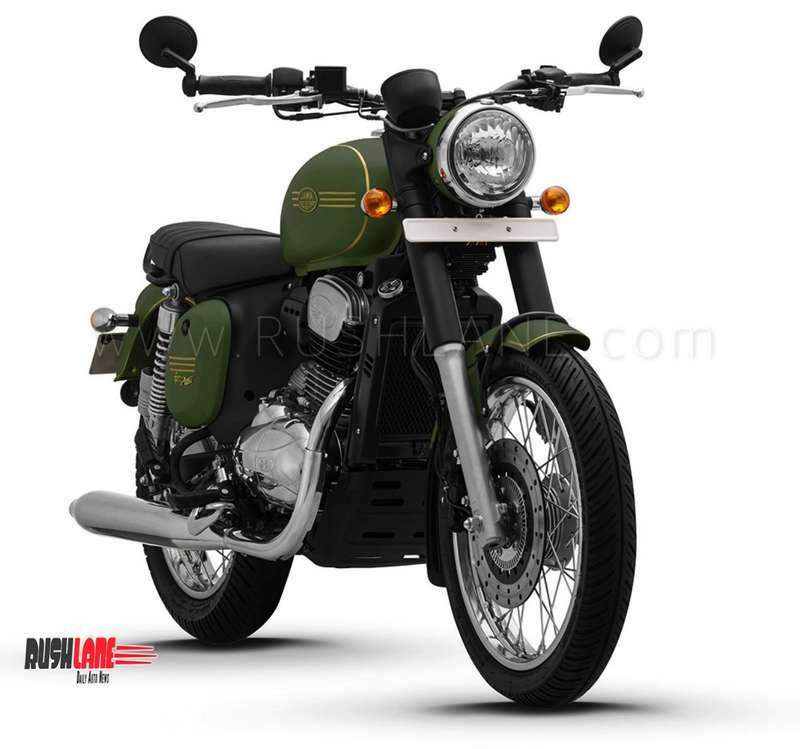 It shares its bore and stroke with the Mahindra Mojo, but otherwise has been developed from scratch and gets mated to a 6 speed transmission. 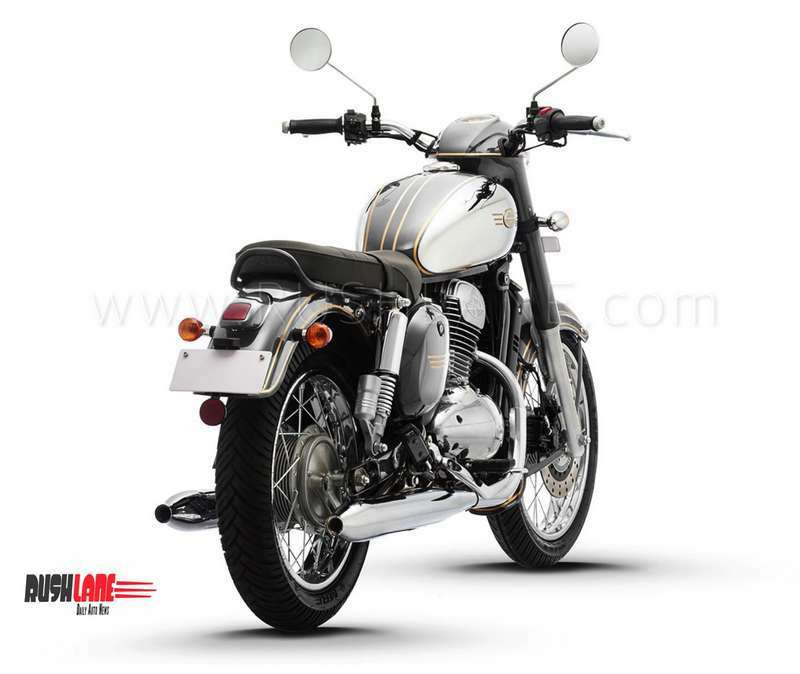 It has gas charged twin shock absorbers at the rear and telescopic forks in the front. 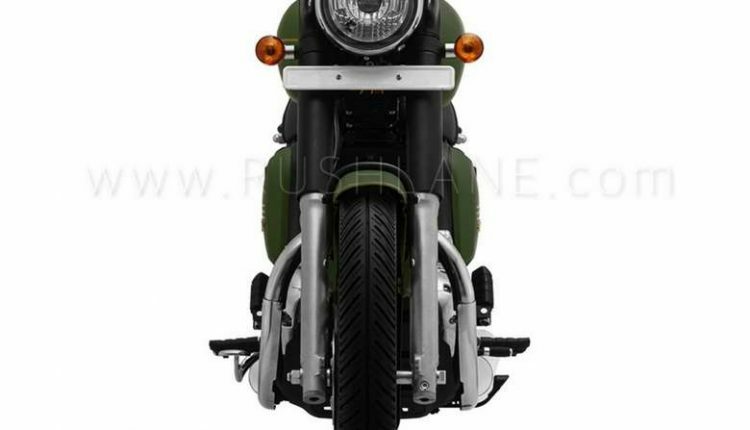 Braking is via a front disc brake and drum brake at the rear. 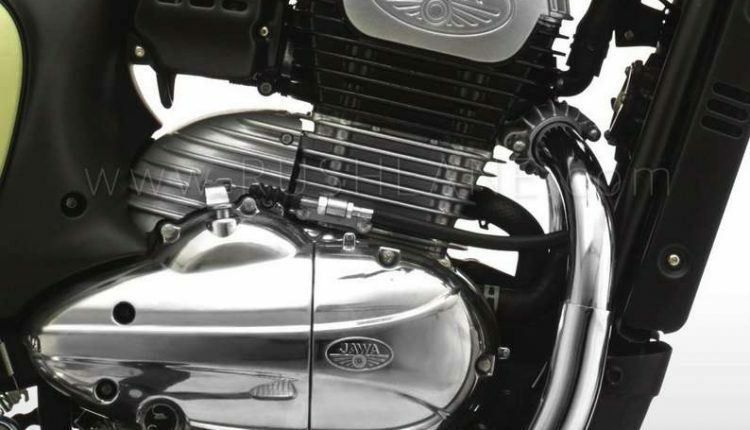 Single channel ABS is standard. 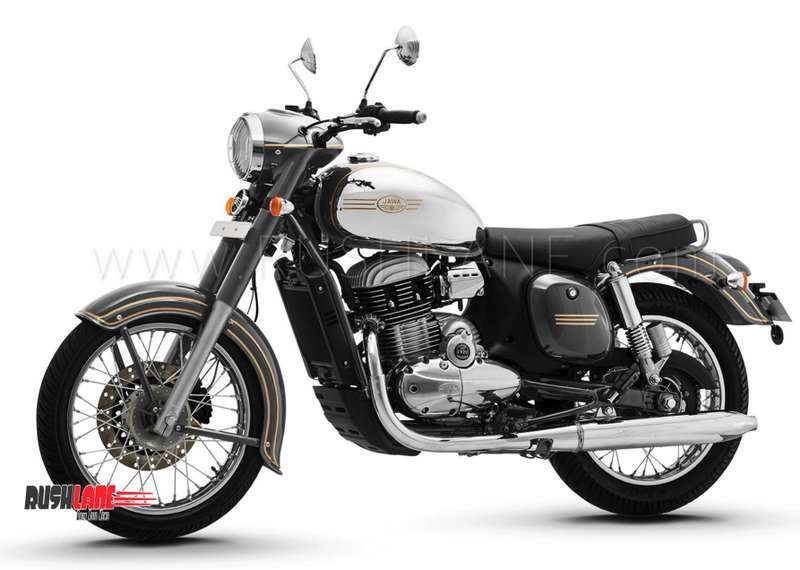 Apart from these two, there are multiple variants that could be launched in the future. 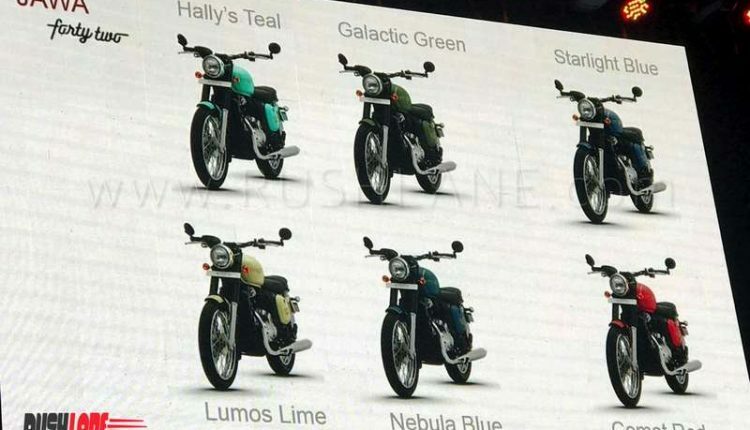 These include a roadster and a scrambler version. 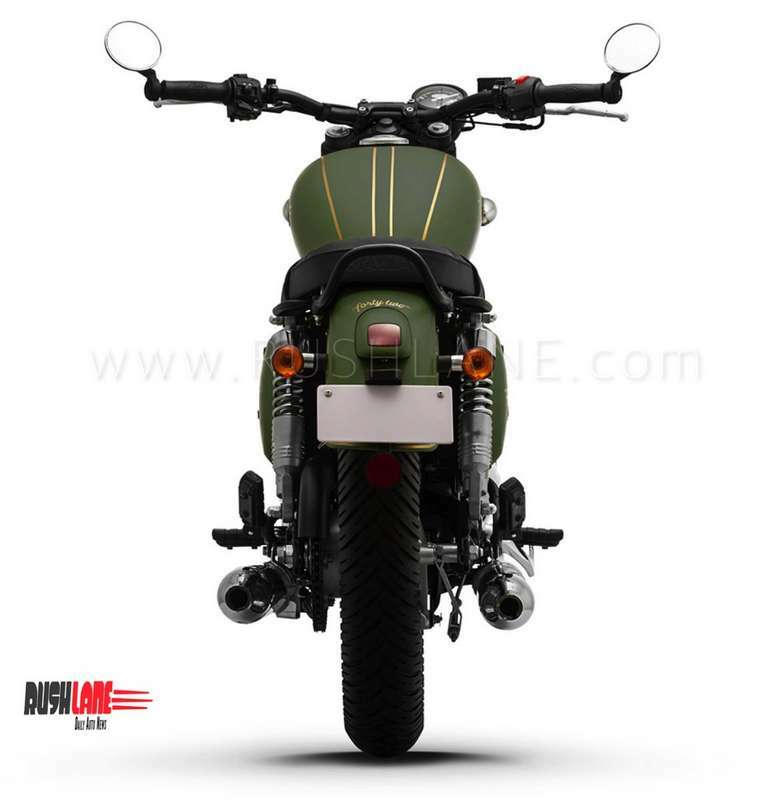 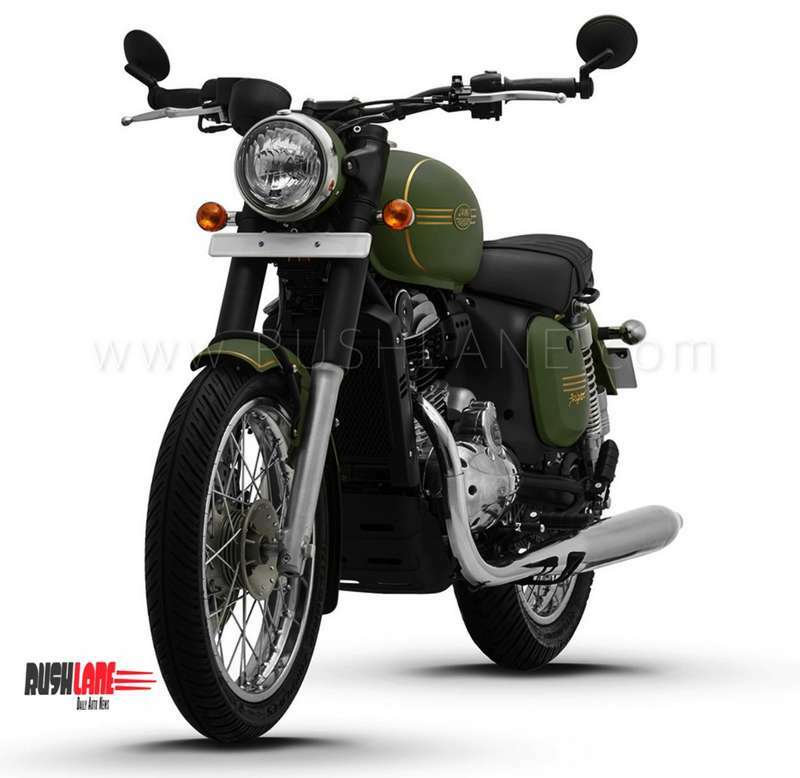 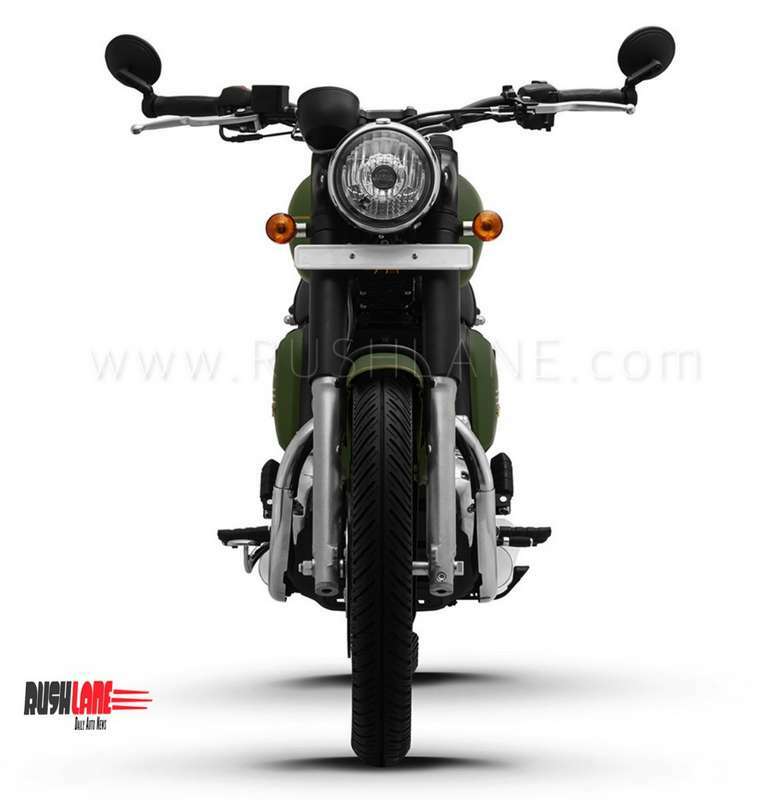 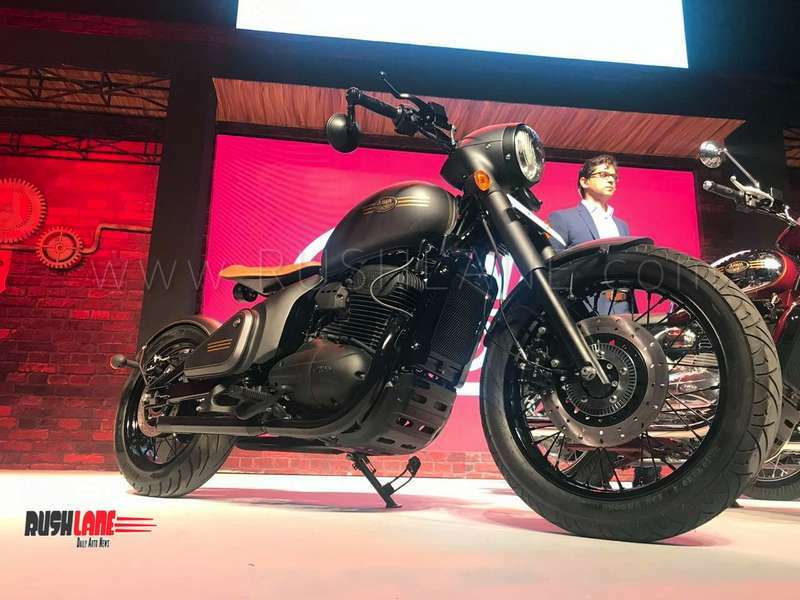 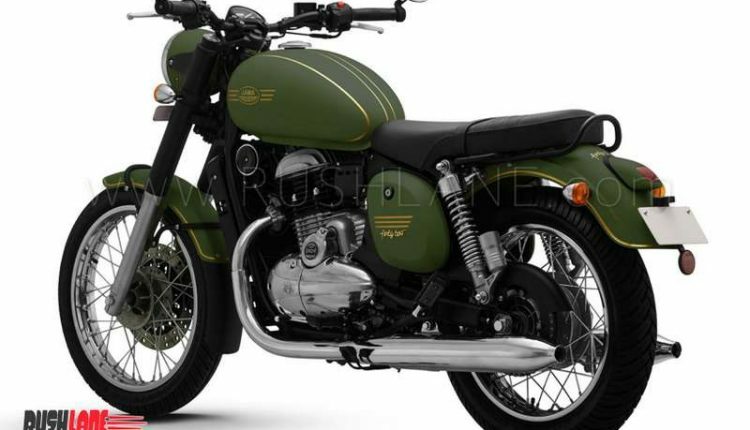 It will carry forward several styling cues from the original Jawa models. 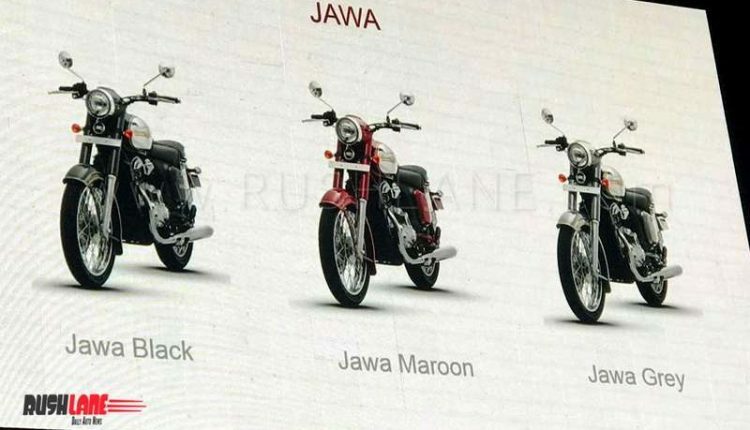 Take a look at the first photos of three Jawa Motorcycles below.